← Do you curb shop? There are folks that consider these weeds as they freely grow in my local area, so I would consider them a “wild” harvestable food. The perk of this, is that you should be able to find yourself some of these for free to transpant back into your own yard and garden. Warning: These hardy plants spread rapidly, and so plant them where you can mow around the edges or in a area that you don’t mind if they take over as a lovely ground cover. They do well in shady areas under tree’s but are tough enough to handle most conditions. As with all edible flowers, use ONLY varieties that have been organically grown and never sprayed – and do not eat the African violets, they are not the same as wild Violets. Leaves are heart shaped attached to long petioles, Five petaled purple or blue flower with white centers. Spread by short, branching rhizomes, typically in bloom from May to June in my zone. According to “Stalking the Healthful Herb” by Euell Gibbons, violets are “nature’s vitamin pill” containing 150mg of vitamin C per 100g of blossoms, three times the amount of that in oranges weight for weight. Both the leaves and the flowers are available for use, now I know that the leaves are safe but honest, other then for use in a Violet tea, I don’t find them worth using personally. When making the tea, I use a 2 to 1 portion, so 2 tsp of dried leaves to 1 tsp of dried flowers. You can make Wild Violet Vinager (as you can with any other safe flower) by filling a jar half full of clean picked flowers and then covering with a light white vinager (rice, white wine or white), and flip up and down once a day for three days, strain out the flowers and bottle, will keep for a full year and can be used as a flavored vinager for dressings/salads etc. My Basic Flower Syrup, pick your flowers and use only good quality fresh flowers, and into the jar they go, covered with boiling water, let steep for a full 24 hours, then strain and measure, I personally like to reduce my flower water by half a very slow simmer, then measure again, at this point, I make a simple one to one sugar syrup, so if you have 1 cup of flower water, you match it with one cup of sugar and one tbsp of lemon juice, boil till its a thich syrup and into hot clean jar, if you are going to use right away, allow to cool and into the fridge, if you are making for later use, hot water bath the jar for 15 min and then cool and store in a cool dry dark place, will keep at least year. 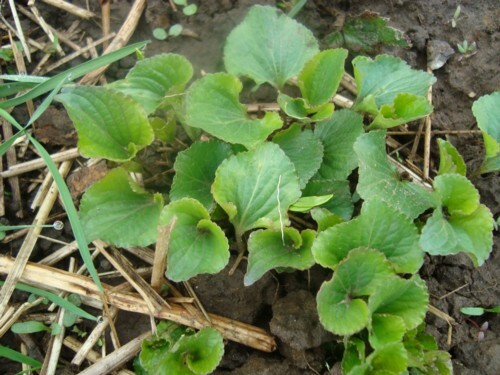 Now what are you going to do with that amazing Syrup, how about a lovely Wild Violet tartlet? 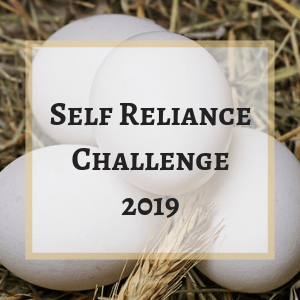 Now you are going to have to be a little creative on this because its another one of those Farmgal recipes but I will do my best to share how I do it, if I miss anything, please ask. Enough of your favorite pastry for 12 tarts, you can use basic or you can use a sweet dough recipe, both will work well. Preheat your oven to 350 C and then take about a tsp of room temp cream cheese and put it in the bottom of the tart, press to be fairly level, drizzle in at least a tbsp or two of Violet Syrup over the cream cheese, bake for about 12 to 15 min till pastry is golden brown and the middle is bubbling hot. Find twelve of the most perfect Violets flowers you can find and when the tarts come out, carefully (they are hot) place the flower dead center, pushing gently, the syrup will be sticky and they will become a colorful centerpeice on the tart. Allow to cool and serve on a plate with a dollop of whipping cream on the side.. this is a treat in so many ways, first its just plain awesome in taste!, second its a wonderfully dressy little show off peice for a special event or fancy afternoon tea. The violet syrup can also be served over shaved ice for amazing slush on a hot summer day, or it can be used on pancakes or waffles, its excellent when added in to your standard lemonade, it gives it a wonderful twist on the basic flavor. So do you have this wonderful plant in your backyard? Do you harvest its flowers for use in the kitchen? Have you found a great way to use those green leaves? What is your favorite recipes for using the jelly or syrup? This entry was posted in food, gardens and tagged Food Production and Recipes, Garden, Herbs, Wild Foods. Bookmark the permalink. Hi there FG … I’ve just spent a couple of days reading your blog from the beginning, and what a wonderful journey it’s been. If you don’t mind I’d like to stick around, see how it all turns out. Welcome to the site, and glad you enjoyed your back reading, I would love to have your hang around and see what’s new on the farm. I really enjoy the comments back from the readers so look forward to getting to know you as time goes on. Oh, that looks like a good jelly, I will be doing a Jelly recipe with Violets in the near future, its a blackberry/Voilet Jam, and its a great combo of the two flavors. Enjoy those Candied Flowers! 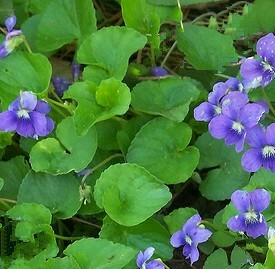 Violets have been used as food for centuries. I happen to have a recipe for a violet pudding from the 15th century that might be worth trying as we’ve got so many violets floating about. It’s a pretty vague recipe in that there are no measurements, so it’s more like something your mother or grandmother would give you rather that something from a cookbook. I’ve altered the language a little from the original, but if you’d like the original middle english let me know! Enjoy! Sounds amazing! Definately going to try this pudding! Think I’m going to thicken with tapioca (lumpy) or tapioca starch (Smooth) instead of flour. It thickens but is clear. I’m thinking I’m going to use the pudding in tarts. I must do more on the healing and medical uses for the leaves, I still don’t like to eat them but my understanding and knowledge and use of them has grown since this post was done. These look familiar! I think they grow in our woods….and I did not know they were edible. Thanks for the great post! I’m loving this blog I’ve started following, called “Just Another Day on the Farm”. Especially the info and uses for wild edibles (or what many people think are weeds). If more of us ate our weeds we would be much healthier and cut down on our grocery bill! Wild violets are blooming right now, so check out this post!